Anton “Toni” Hackl was born on 25 March 1915 at Regensburg. He joined the army in 1932 serving with an Infantry Regiment. He transferred to the Luftwaffe and completed Pilot training in the autumn of 1936. Unteroffizier Hackl joined II./JG 333, later to become II./JG 77, on 1 April 1938. In February 1940, Hackl attended the Kriegsschule at Wildpark-Werder.  On 1 May 1940, Unteroffizier Hackl was based in Norway serving with 5./JG 77. He achieved his first victories on 15 June 1940 when he shot down two RAF Hudsons over Stavanger. On 27 June he shot down a Hudson, but was wounded in this battle. He was promoted from Oberfeldwebel to Oberleutnant for bravery in combat. He had recorded four victories during his time in Norway. On 29 July 1941, he was dispatched to the Eastern Front. By the end of year he had increased his score to 27. He became Staffelkapitän of 5./JG77 on 23 January 1942. On 25 May 1942, after 51 victories, he received the Ritterkreuz. He recorded 11 victories during June. During July 1942, Hackl amassed a total of 37 enemy aircraft shot down during the aerial battles over and around Voronezh including six victories in a day on 21 July (victories 72 through 77) and 23 July (victories 79 through 84). On 3 August 1942, he shot down three Russian aircraft to record his 100th victory. 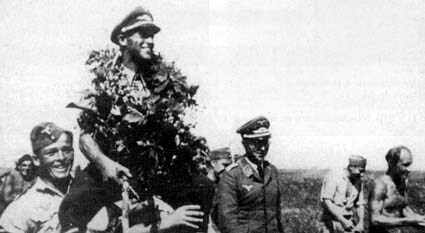 After his 106th victory on 6 August he was awarded the Eichenlaub (Nr 109). He shot down his 118th and last enemy aircraft on the Eastern Front, a LaGG-3, on 19 September 1942. On 3 August 1942, Lt. Anton Hackl, commander 5./JG 77, shot down three Russian aircraft to record his 100th victory. He was transferred to Tunisia with II./JG 77 where he gained 6 victories. But after a battle with P-38 Lightnings on 4 February 1943 he was badly wounded and was out of action for several months. On recovery in September 1943, he operated with Stab III./JG 11 on Reichsverteidigung duties. On 1 October, he became Gruppenkommandeur of III./JG 11. Hackl was to shoot down 25 four-engined bombers during his time in charge of III./JG 11. In April 1944, he commanded JG 11 for a short time before again being badly wounded in battle with P-47 on 15 April. He had been awarded the Schwerter (Nr 78) after 162 victories on 13 July. During July 1944, he became Kommodore of JG 76. 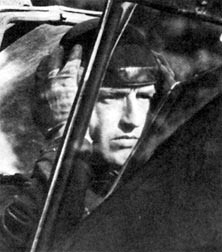 On 8 October he became leader of II./JG 26 when Major Georg-Peter Eder (78 victories, RK-EL) was transferred to Kommando Nowotny. At this time “Toni” Hackl had 165 victories to his credit. By the end of 1944 he had 172 victories. On 30 January 1945 he was acting Kommodore of JG 300 and, from 20 February, Kommodore of JG 11 following the death of Jürgen Harder (64 victories, EL, killed 17 February 1945). During the last ten months of the war Hackl was credited with 43 confirmed victories, including 20 achieved in 1945. His last 24 victories were never officially confirmed. Anton Hackl survived the war but died on 9 July 1984 in Regensburg. Anton Hackl flew about 1000 combat missions and shot down 192 enemy aircraft: 131 on the Eastern Front and, from 61 victories in Africa and on the Western Front, were 34 four-engined bombers. He was second on the list of Viermottöter. He was shot down 8 times and wounded 4 times. - 16 victories ? (JG 11 or JG 76) 14 Viermots?